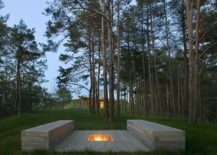 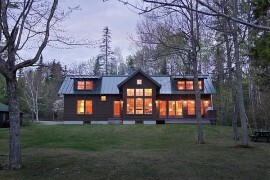 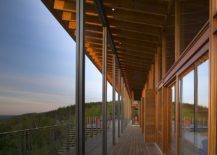 Surrounded by lush green evergreen and hardwood forest on all sides and presenting a rustic, rural backdrop, the sight of the Ridge House in Bonnyville, Canada comes as a surprise any unsuspecting visitor. 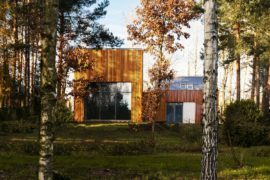 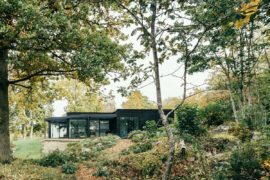 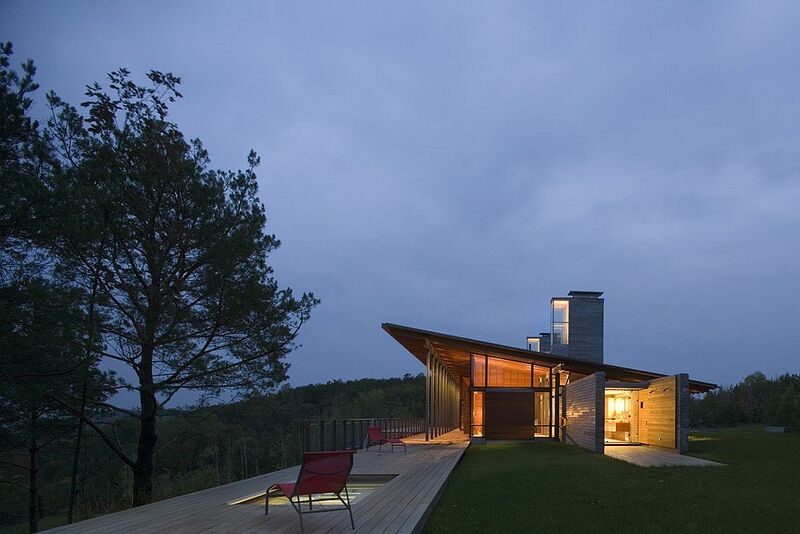 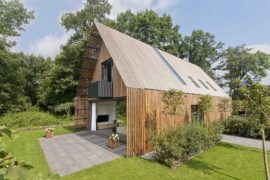 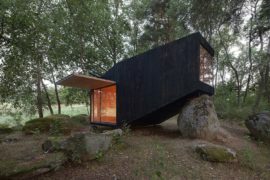 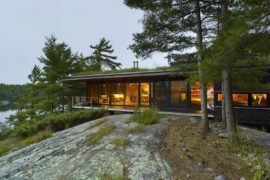 The lean, minimal and contemporary home in stone wood and glass seems to barely float above the landscape even as a winding entry leads to the residence with a low profile. 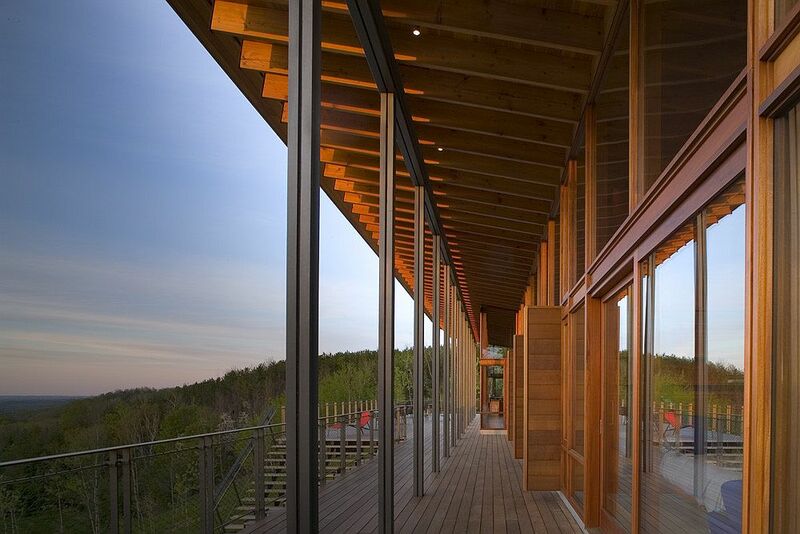 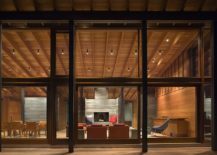 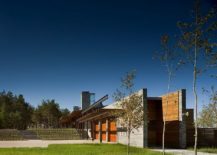 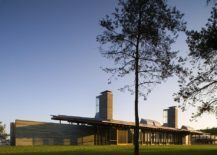 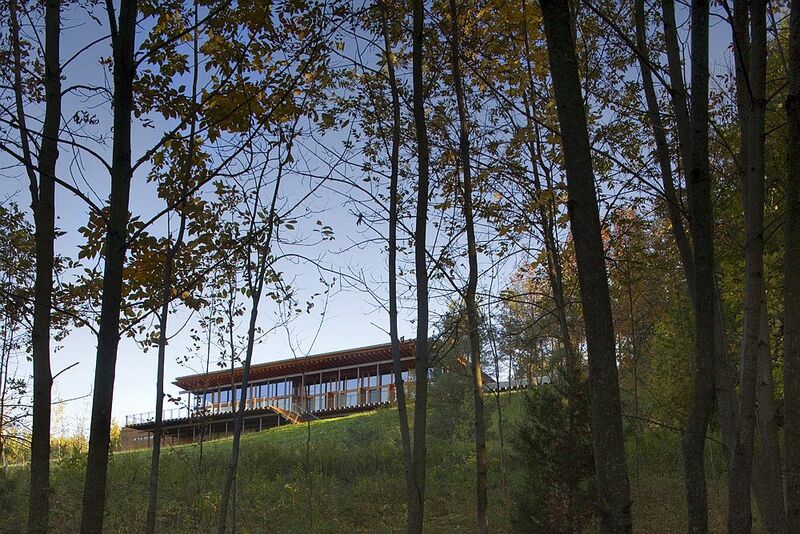 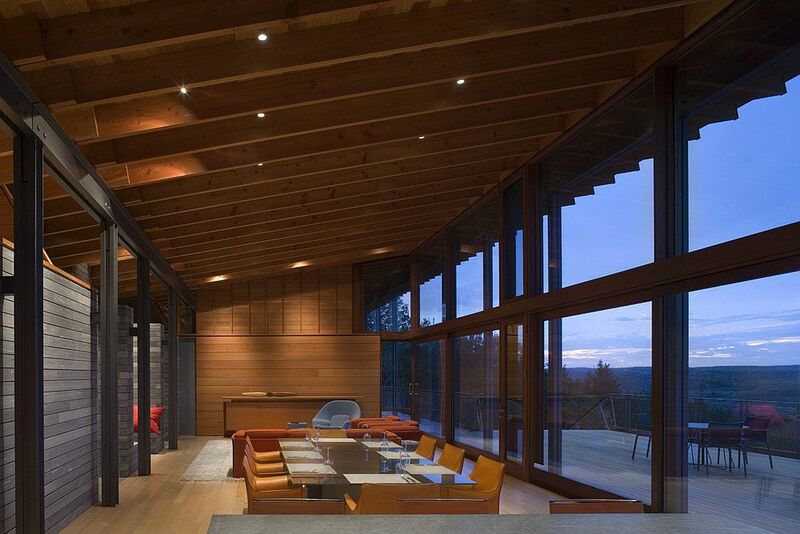 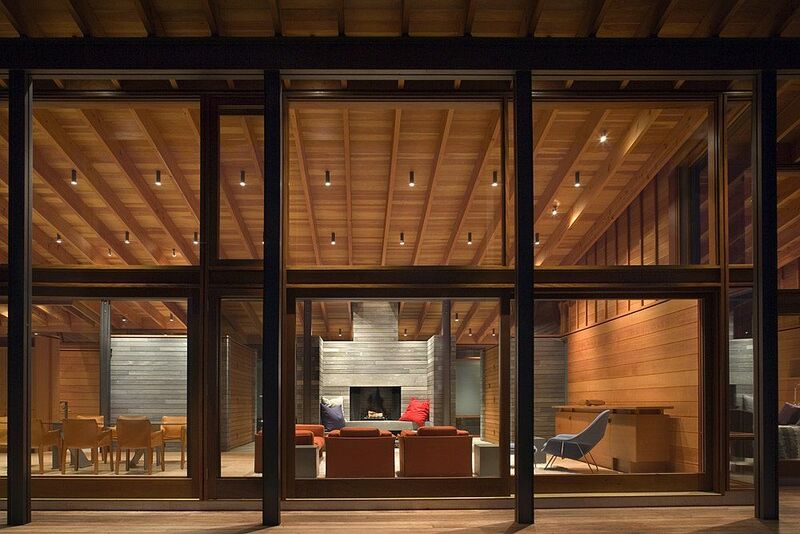 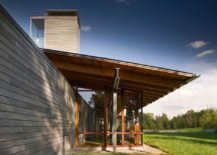 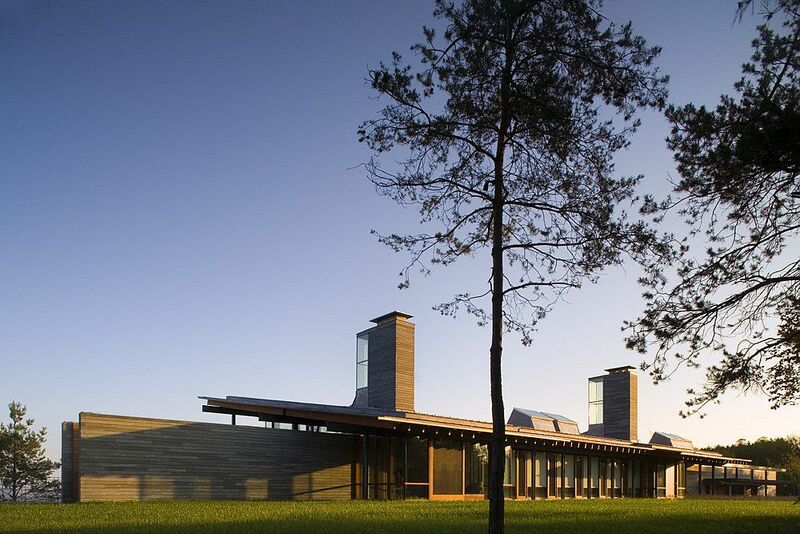 Designed by Bohlin Cywinski Jackson, the modern masterpiece has stoic lower level that forms its ‘stone core’ while a wooden deck, Douglas fir roof and glass walls make up the top level. 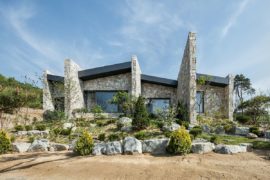 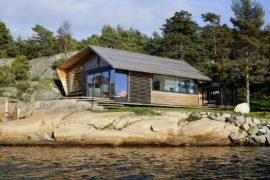 The contrast between the different materials that make up the house is all too obvious with the stone base anchoring the large and sweeping home. 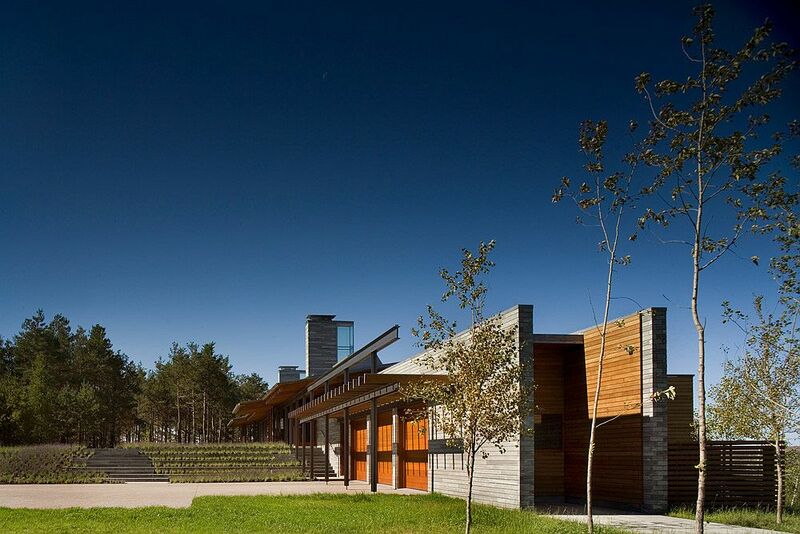 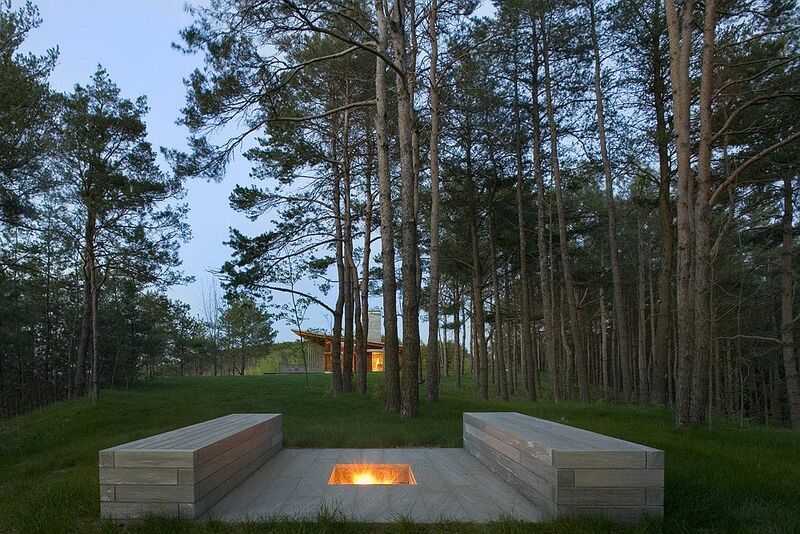 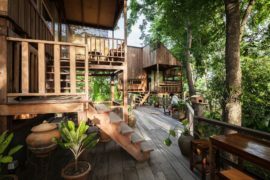 Serving both as a tranquil retreat that allows the homeowners to escape the urban rush and as a perfect place to host friends and family over the weekend, it is the mesmerizing forest views outside that steal the show. 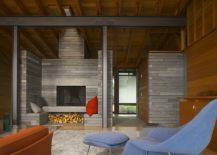 Two large stone fireplaces sit at the heart of the house and largely define the floor plan indoors. 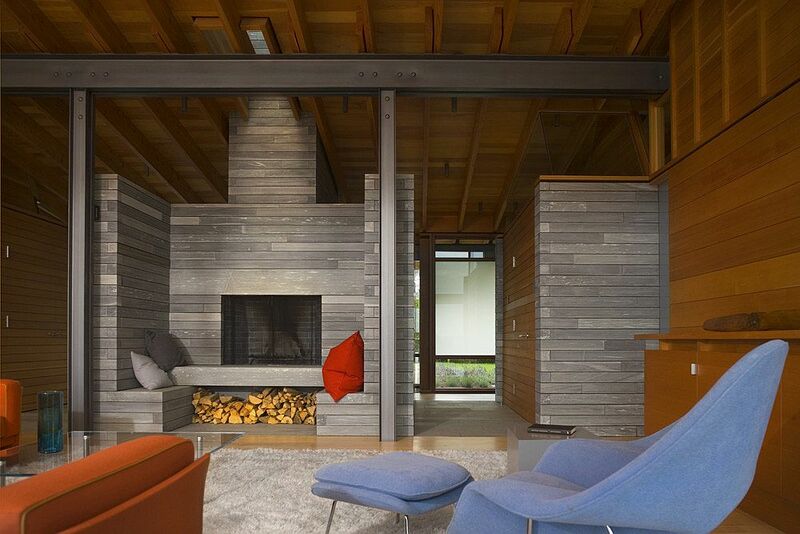 Light monitors are clipped to the face of both chimneys, washing the fireplaces with natural light. 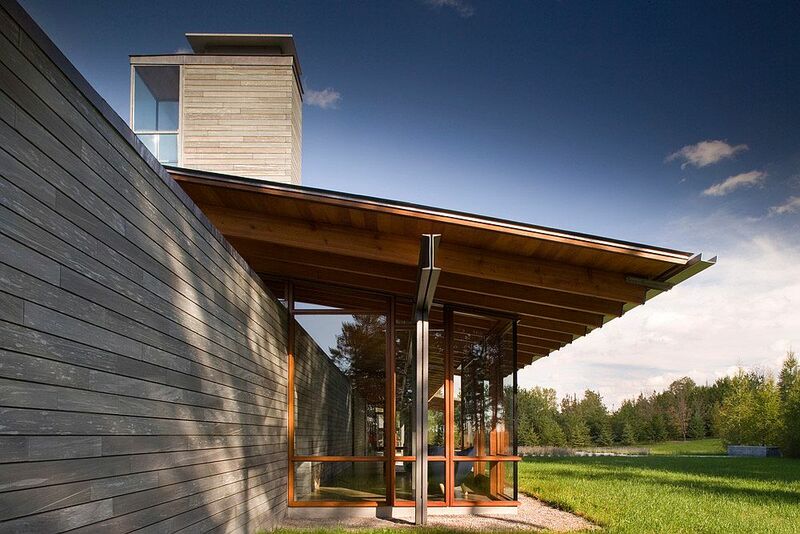 Additional free standing roof monitors provide light to spaces within a stone core. 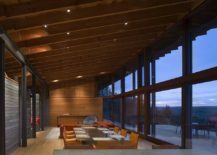 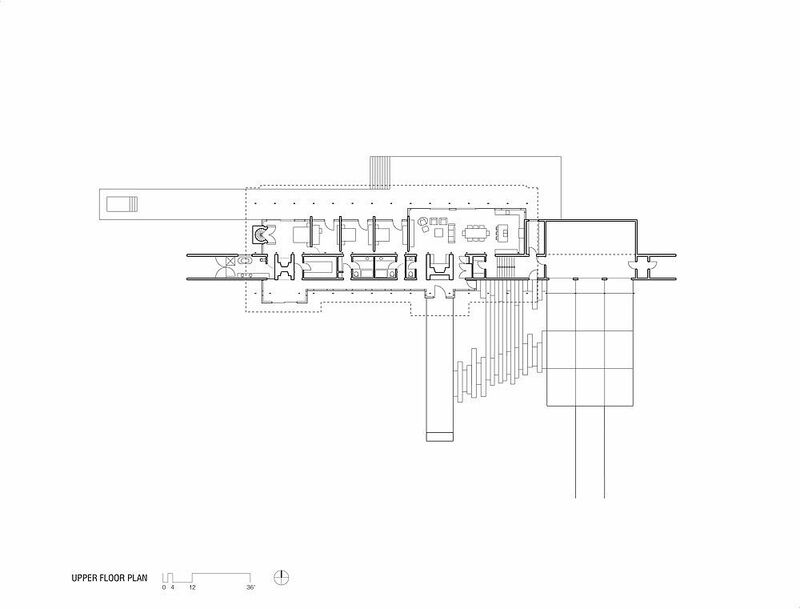 Both clear and translucent glass encloses the south wall, providing a play of light and space experienced along the circulation spine.